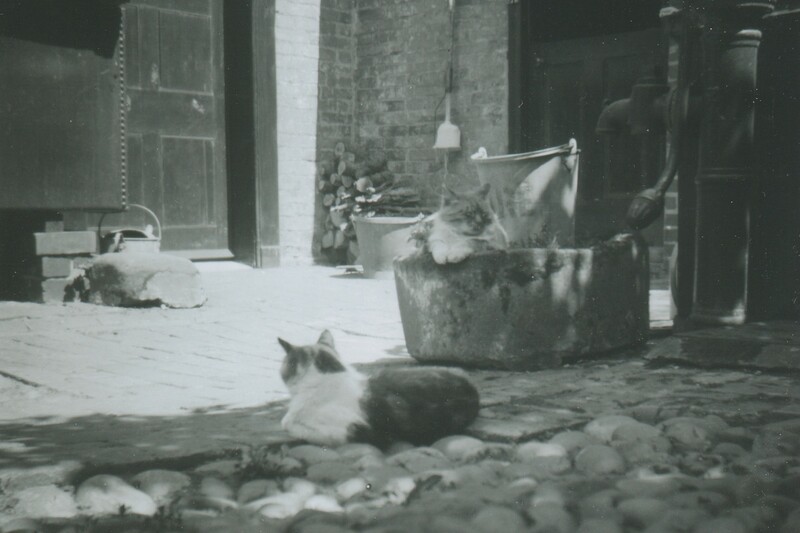 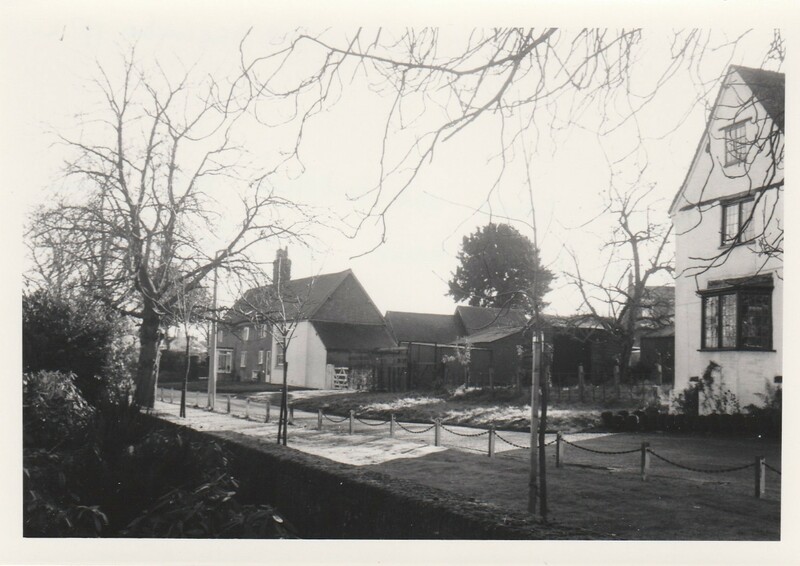 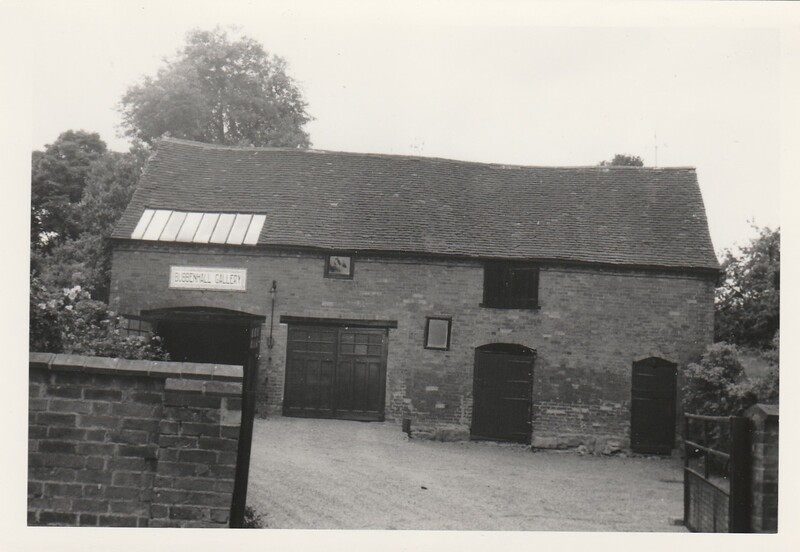 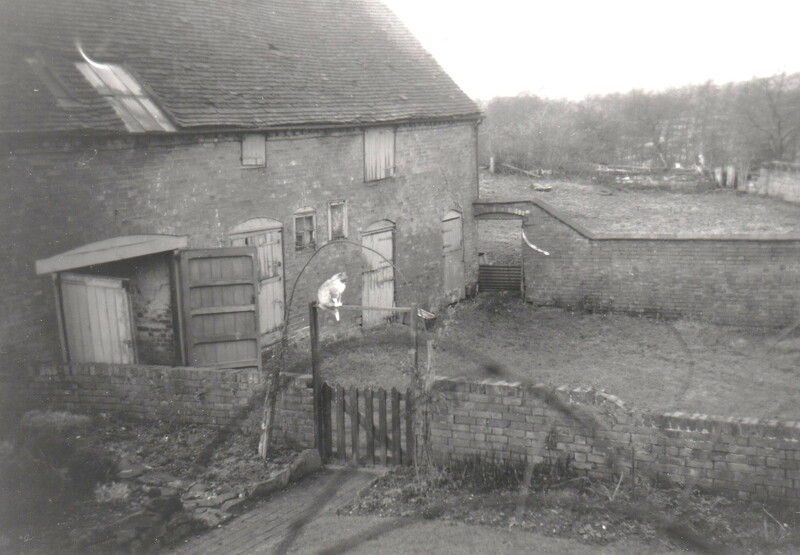 Outside Church House gates into farmyard c. 1919. 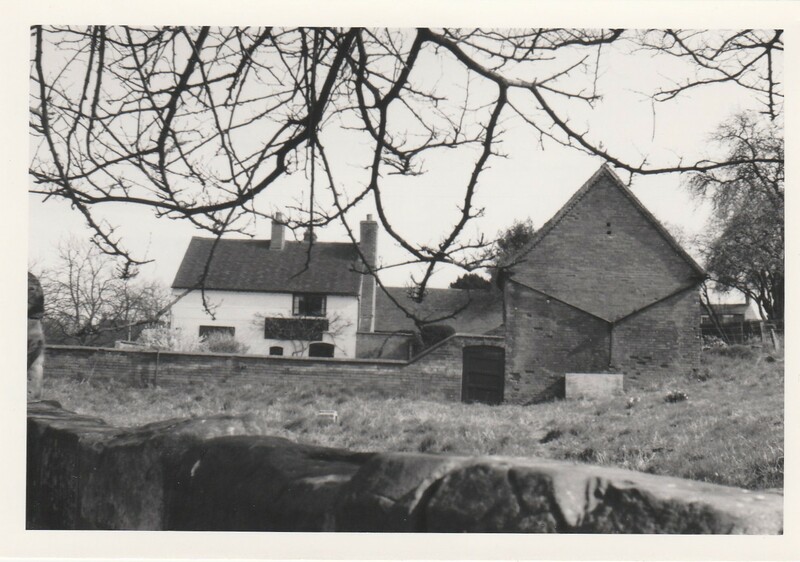 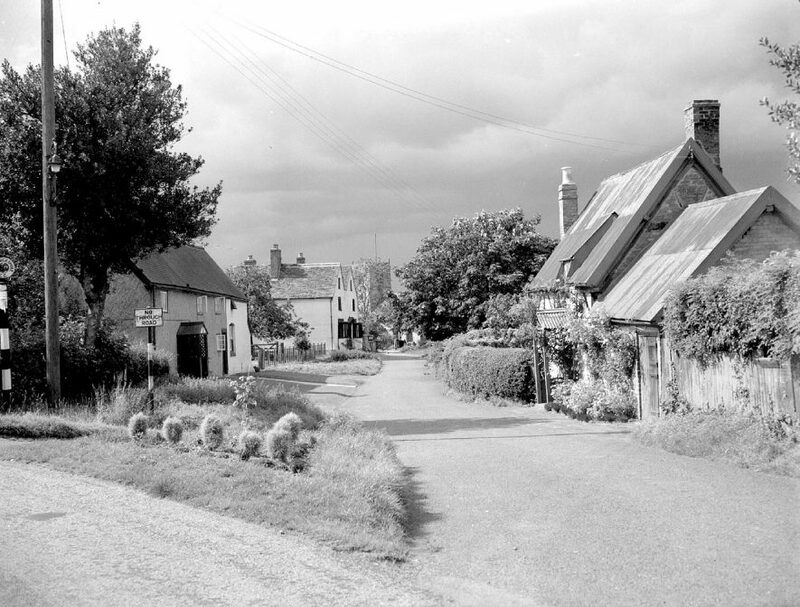 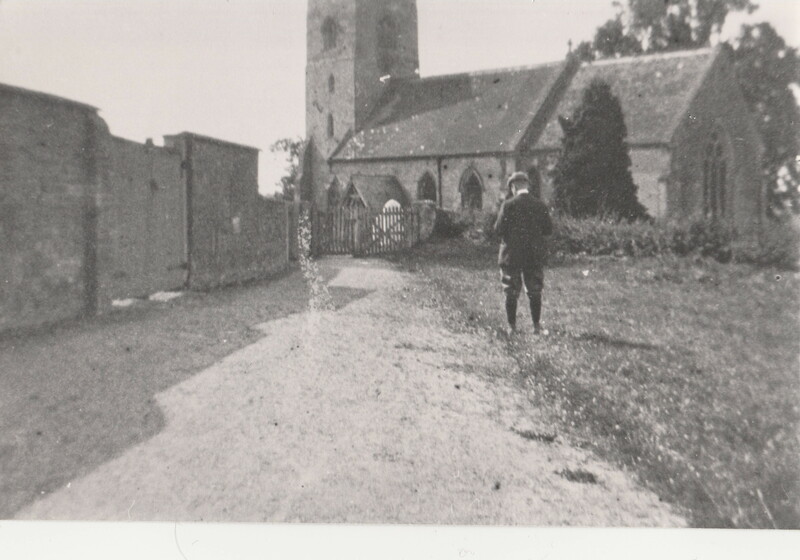 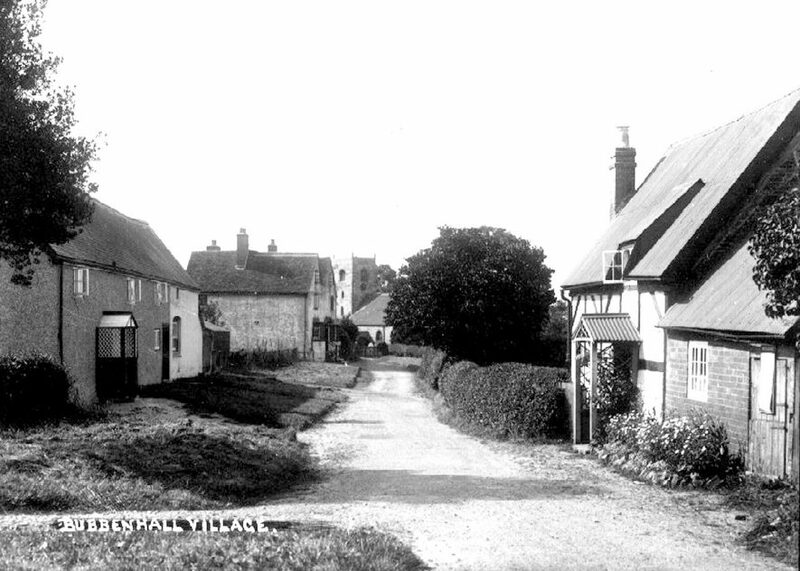 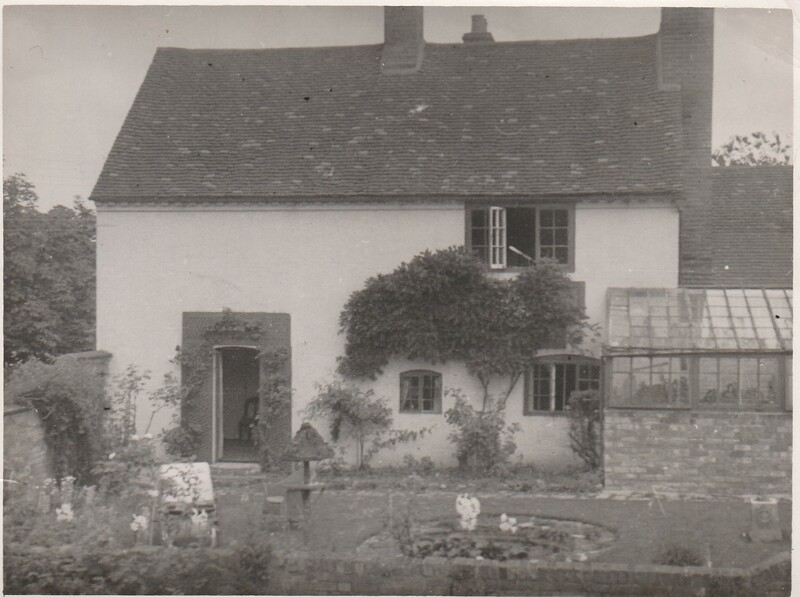 Possibly Mr. Cowley standing in the lane - he and his mother lived there 1919-20 before moving to the Manor House. 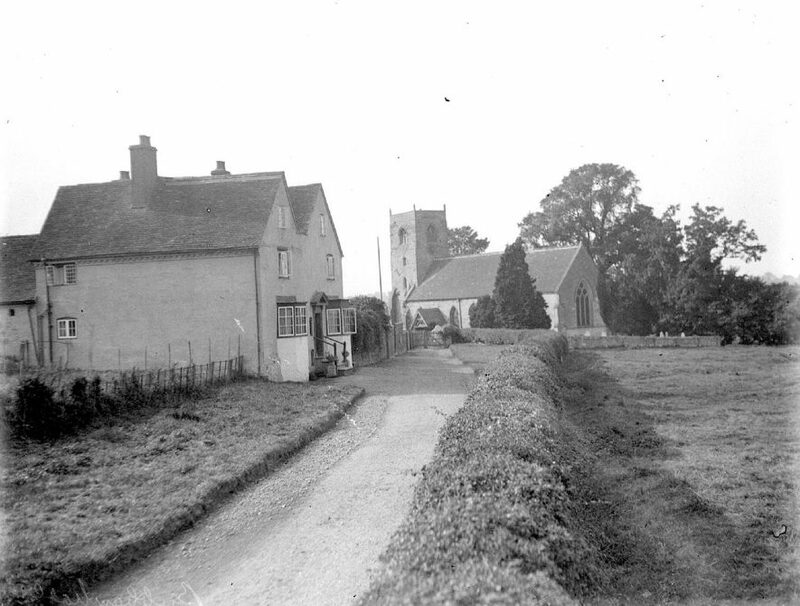 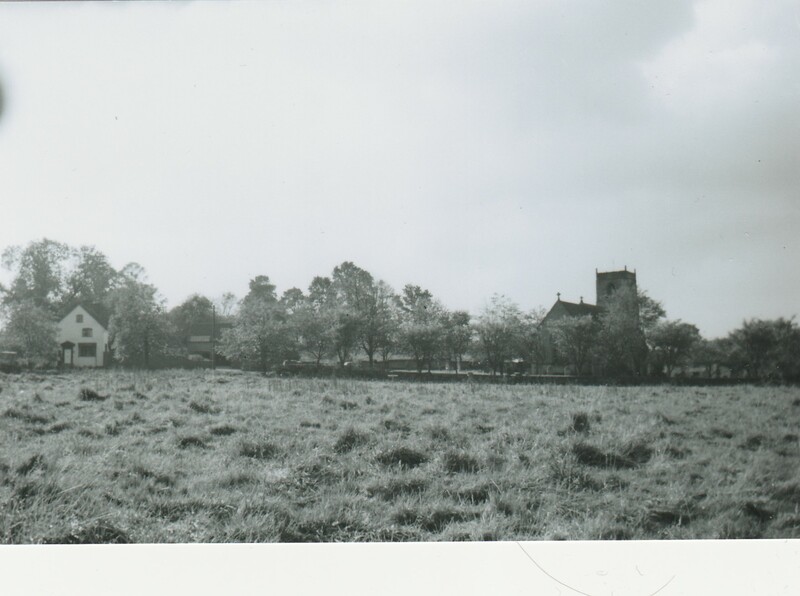 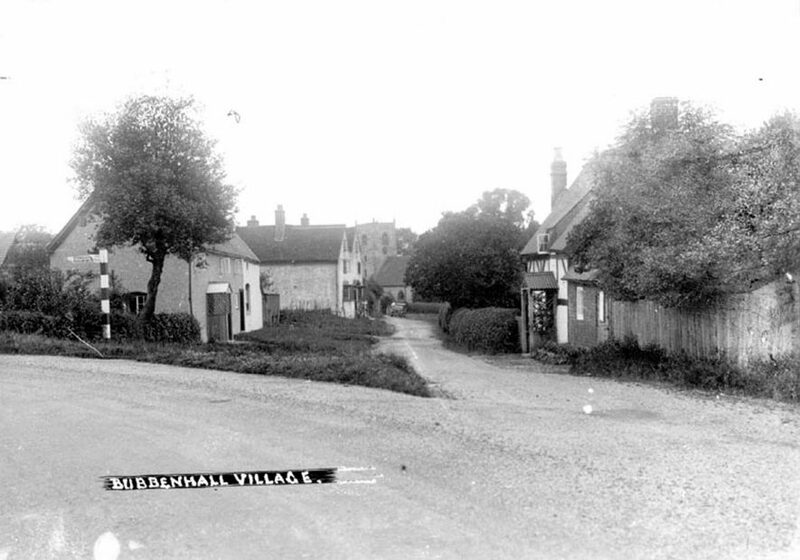 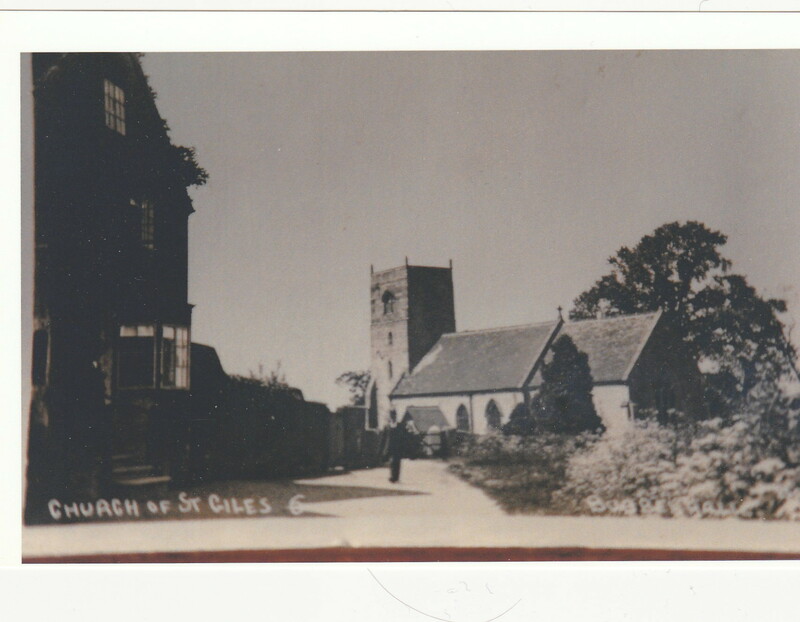 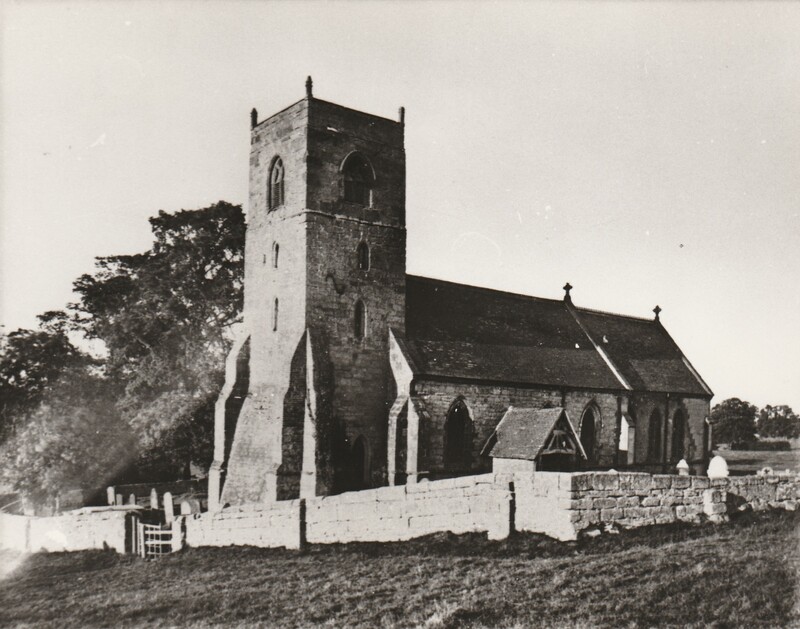 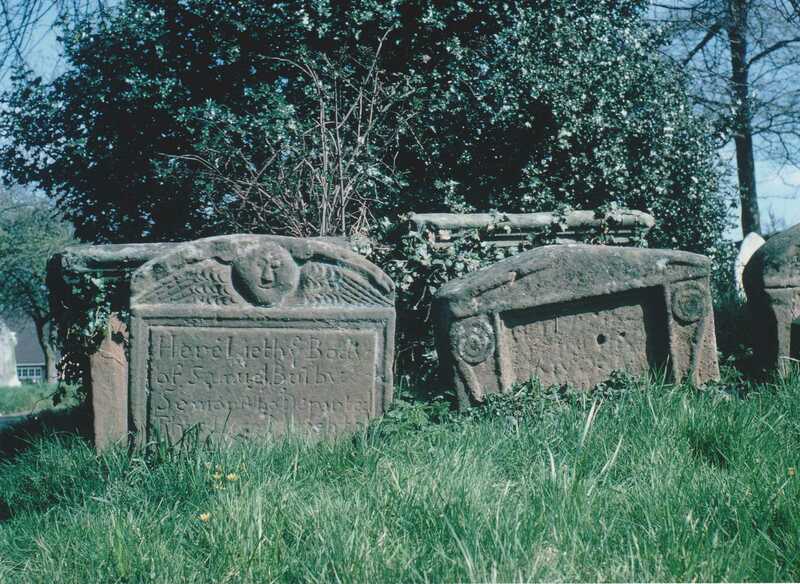 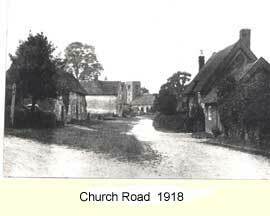 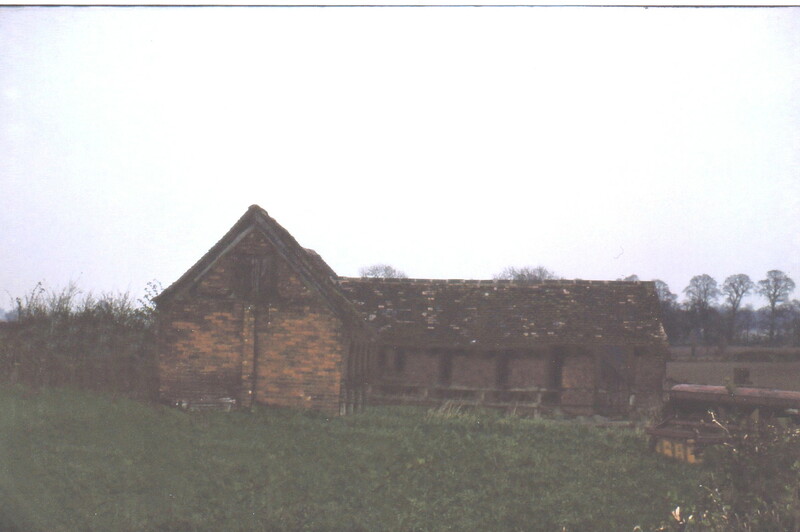 The Church, probably before 1926 when the churchyard was extended into part of the field known as Town Barn.